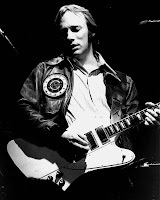 I would certainly recommend the new Stephen Stills CD 'Live at the Shepherds Bush' It is a glorious new release from the Legendary Guitarist that he clearly is! If nothing else show some support and buy it......and if you have'nt ever bought that double album 'Manassas' then go and buy that as well. That is an album that would accompany me to a desert Island! That Band could do anything. I had the honour of meeting Al Perkins on more than a few occasions and I love it when he talked about that Band! They could do anything....just listen to it and you will see what I mean.